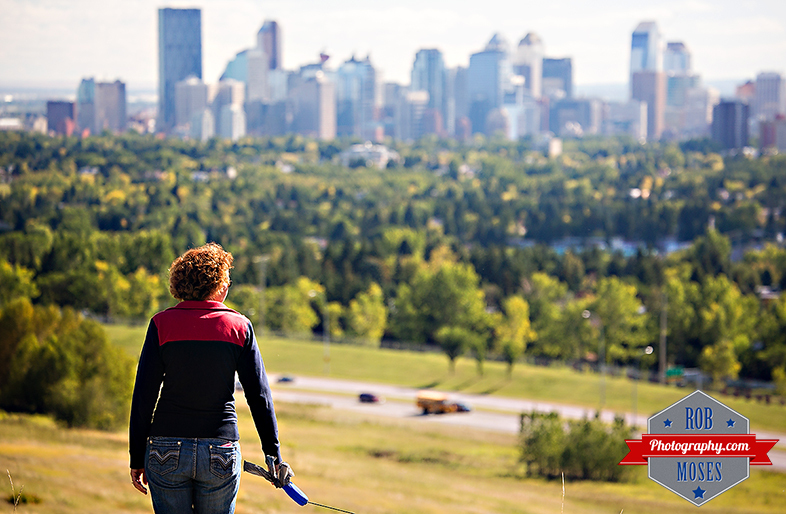 The other day went for a walk in Calgary‘s biggest inner city park, Nose Hill Park. I was up there shooting some photos of the mountains to the west. While I was shooting photos this nice lady walked by with her dog. By the time I decided to shoot a quick photo of her and change my settings she was too far for me to get her, the skyline and her dog in the frame, while keeping the amount of bokeh I wanted. I decided keeping the skyline in and skipping the dog would make a better picture, since the dog ran quite aways away from the lady and zooming so far out would have dramatically reduced the bokeh. I’m happy with how the picture turned out. 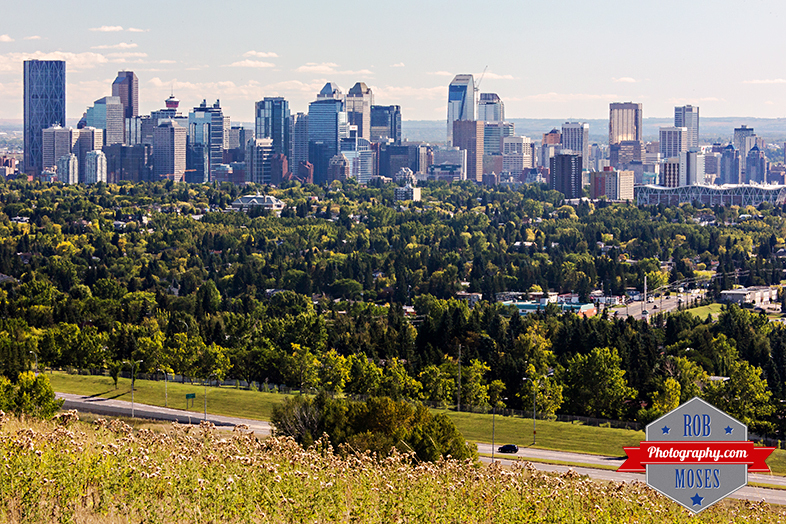 I added a picture of downtown Calgary from a little higher than I was for the woman walking shot. This isn’t the best spot for a Calgary skyline picture in my opinion, but it’s not bad as your higher than the city and it gives a little different perspective than the usual. This entry was posted in Cities, People and tagged 5D3, 5Diii, 70-300mm, Alberta, beautiful, blur, Bokeh, bow, buildings, Calgarian, Calgary, Canada, canadian, Canon, city, City Life, glass, growing, metro, modern, new, Nose Hill, nose hill park, oil gas, Park, photo, Photographer, Photography, pretty, sait, sky, Skyline, skyscrapers, tower, Urban, walk, walking, wealthy, woman, yyc, zoom. Bookmark the permalink. Great photos as always! And I always enjoy reading your thoughts on the choices you make. Well thank you Dan. I am glad you are liking the little commentary 🙂 And thank you very much for always taking the time to comment on my photos. I enjoy these little interactions we have on each other’s pictures. Nicely done Rob, the green in the foreground in both pictures gave a special touch! I think your picture with lady is great, but the dog could be also nice in there. Anyways we are looking forward to see more pictures from you. Thank you, but I explained why the dog was not in the picture.